Chris Lamb welcomed the 25 attendees to the materclass and thanked Pentland Homes for their support. Chris introduced the work of Design South East and Martin Hall talked through the next four months of the Kent Design programme. Bob Sellwood was then invited to give his presentation. The possibility of Local Plans becoming statutory documents (identifying pros and cons). 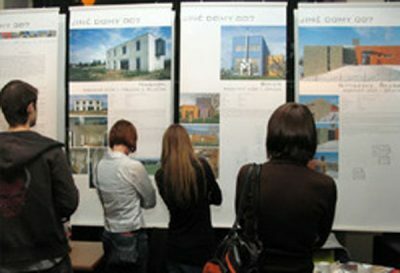 Outline Planning Guidance (its large and getting larger, and failure to ensure regular updating has led to confusion during inspections). Changes to the planning law that are targeted at incentivising small scale developments (and possible decrease in delivery of affordable housing in rural areas). Changes relating to Permitted Development rights (impact on high streets – Portas Review). Emerging case law informing Inspectors’ thinking regarding the Duty to Cooperate. The impacts of localism on realising 5 year housing targets. Realising Objectively Assessed Housing needs. Case law: the experience of local planning authorities working to continually developing case law (in relation to the Duty to Cooperate and Five year housing supply). This creates a climate of policy uncertainty, stagnation in the development process, and an increasing need to seek legal opinion. Courts are making planning policy – leaving local planning authorities in limbo. Upfront costs: the prohibitive impact of high upfront costs for some developments. Planning Performance Agreements: the benefits of setting a programme, agreeing communication and agreeing an end date. The environment: the impact of environmental constraints on delivery and whether Government thinking might change. Would we now welcome back the Regional Spatial Strategies? Place making: what is it that informs settlement design and can new models help increase delivery pace / certainty. The Garden Cities concept must not be compromised (as was the case for Eco Towns). Green Belt: will a large ‘bite’ be taken out of it? Can we address Green Belts variable quality and function? Is Green Belt a quantum, or a policy? Public consultation: some good, some not so. How do we meaningfully engage the public? Need to recognise that not everywhere is special, but it is to them. Self-build: 2% in England compared to 20% in Europe. How do we respond to growing interest, advantages and demand? Respond to the fact that ‘our castles are being built for us’! Local authorities need to recognise that they do have land to release and an ability to influence self-build. Commercial property: King’s Hill is now seeing commercial allocation going into residential. Businesses are seeking flexible spaces, within good mixed use developments, with good transport links. Be aware that ‘choice is driving demand’. It was felt that Government knows what it wants but is less able to support local authorities in delivering it. Localism is good and is here to stay. This fact may challenge industries ability to deliver new houses in a reasonable timescale. Localism creates an irreconcilable consequence centred on delivering more housing. There is a need to improve resourcing and delivery of community engagement in planning (promote good examples, such as Berkley Homes). The Garden Cities concept is interesting and exciting, and is more than a means to make new housing allocations palatable.